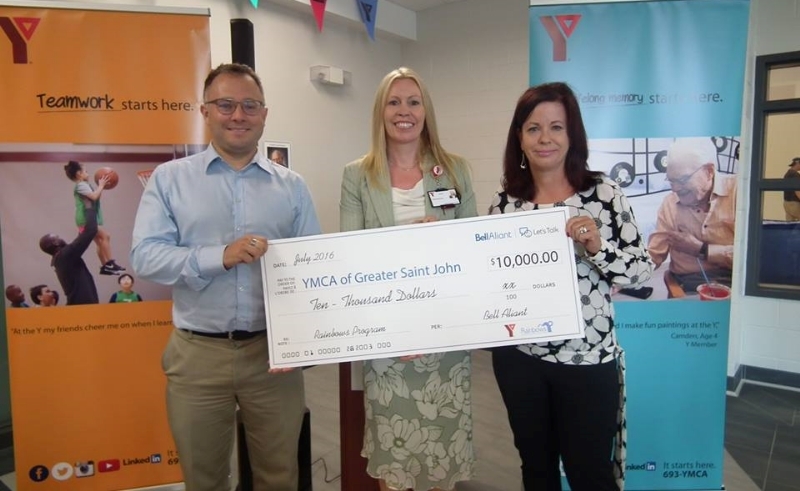 On Wednesday July 27th, 2016 Bell Aliant announced a $10,000 donation to the YMCA of Greater Saint John for their Rainbows for All Children program. “Rainbows” fosters emotional healing among children and youth grieving a loss from a life-altering crisis. This unique international program offers a safe and supportive environment for children to process their feelings through a unique peer support program whether dealing with death, separation, divorce or any other painful family transition or crisis. This funding will allow the YMCA of Greater Saint John to reach even more children and families in the coming year. For more information about the YMCA visit their website at www.saintjohny.com and Like their Facebook Page.